One of Quadrifoglio’s prerogative is to always support to client while designing their projects or when solving specific problems. 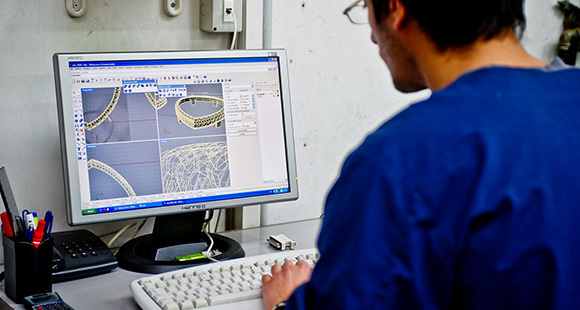 Our in-house technical department takes care of the product design, of the necessary machinery to develop it and also of the control phases. Our workshop is able to build the necessary machines and equipment in order to obtain the output the client required. Such an advanced service, which requires a particular technical capacity and the right machinery, allowed Quadrifoglio to create over the years long-term collaboration with very important companies in the gold sector.